HOUSTON December 20, 2011 — AJ Foyt Racing has hired Long Beach Grand Prix winner Mike Conway to drive the No. 14 ABC Supply Honda in the 2012 IZOD IndyCar Series. Conway, who won the Long Beach Grand Prix in his 26th IndyCar start, brings strength on the road courses to the team. In 2011, he qualified in the top-10 six times on the road and street circuits, which is also where his four top-10 finishes came. “First of all I’d like to thank 2MB Sports Management and AJ Foyt Racing for making this deal come together. I can't wait to start work with the AJ Foyt Racing team and to drive the No. 14 ABC Supply Car. It's going to be an exciting season with the new cars and multiple engine manufacturers. Hopefully we can hit the ground running with off season developments and be quick out the box. I’m counting the days until the first test and the start of the season,” commented Mike Conway. 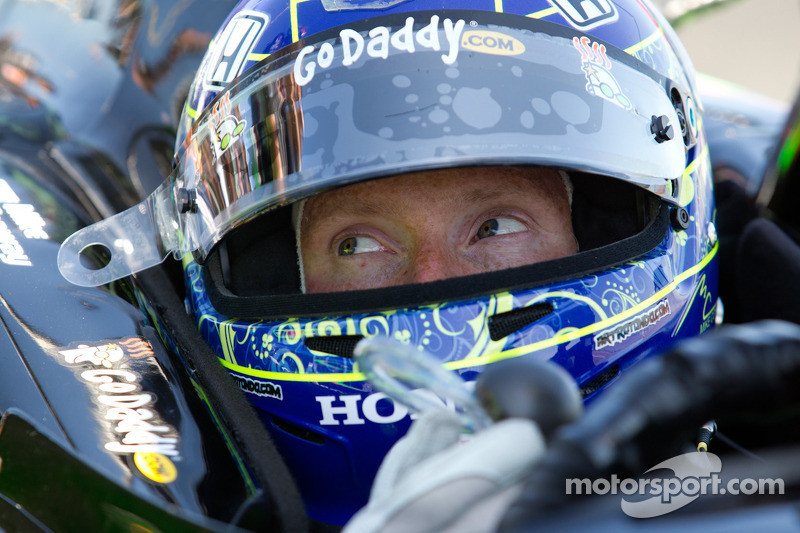 Conway made his first start in the IZOD IndyCar Series in 2009 driving for Dreyer-Reinbold. Towards mid-season he began capitalizing on his brilliant potential with several top-10 finishes before scoring his first podium –a third place finish at California’s challenging Infineon Raceway. In 2010, he was in position to post his fourth top-10 finish in six starts but on the final lap of the Indianapolis 500, he collided with a suddenly slowing Ryan Hunter-Reay, launching Conway into the catchfence resulting in season-ending injuries to his leg and back. Signing with Andretti Autosport in 2011, Conway dispelled all doubts about his return to the cockpit with a strong fourth place qualifying run in the season opener in St. Petersburg and an incredible drive in the Long Beach Grand Prix. In that race, he qualified third but dropped to 21st after a problem on the first pit stop. Conway fought his way back to lead the final 14 laps after executing a couple of textbook passes on frontrunners Ryan Briscoe and Dario Franchitti, who finished second and third. The British Racing Drivers Club recently awarded the Innes Ireland Award to Conway in recognition of his inspiring comeback from his 2010 Indy 500 accident. The award is given to the driver who best displayed the qualities of courage and sportsmanship epitomized by the late Innes Ireland, a British Formula 1 driver who was badly injured in the 1961 Monaco Grand Prix. He recovered to win three Grands Prix the same season including the U.S. Grand Prix at Watkins Glen. En route to Conway’s burgeoning IndyCar career, the 28-year-old Briton won several championships, triumphing in British Karting, the 2004 Formula Renault UK Series as well as the British F3 International Series in 2006. Conway captured the Macau Grand Prix in 2006 becoming the first British driver to do so since Darren Manning won it in 1999. Manning drove for the Foyt team from 2006-2008. In 2007 and 2008, Conway raced in the very competitive GP2 Series (previously named Formula 3000), the feeder series to Formula 1. Conway, who won a sprint race in the streets of Monaco in 2008, also served as a test driver for the Honda Formula 1 team during that time. "We all have big expectations for the upcoming season, and Mike shares our passion for getting the team back in victory lane,” Larry Foyt said. “There is no doubt he has a ton of talent and, when combined with A.J. 's experience, I think we can accomplish great things together." 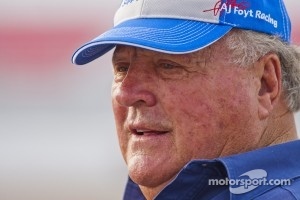 Foyt’s ABC Supply team will take delivery of its 2012 Dallara this week and expects to start testing in early February.